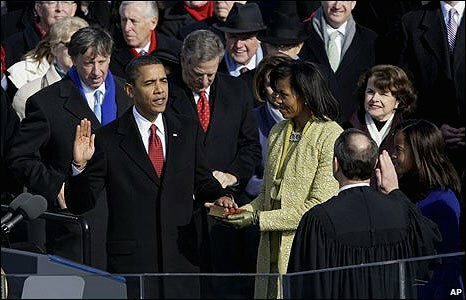 Two days ago, Barack Obama was sworn in as President of The United States, twice in fact. Throughout his campaign, I heard echoes of John F. Kennedy. And I hope our country will respond. What I sensed during the last eight years was very much the opposite. A people who are more quick to criticize a President who has made mistakes than to do something themselves to make this nation and the world a better place. I'm tired of talkers and criticizers who stand on the sidelines and do nothing. Your words are useless to me. I hope we can, instead, embrace one of the truest sentiments I've ever heard - spoken 48 years ago, and revisited 48 hours ago.